The last book in English dedicated to skiing in Switzerland was published in 1989 – until I published “Ski and Snowboard Switzerland” last year. The “Berlitz Ski Guide Switzerland” was written by Alistair Scott and featured some 32 resorts. Scott, who died in 2009, was ski editor for the Sunday Times and was married to Lizzie Norton, who ran Ski Solutions until a management buyout in 2010. He was not the first to write specifically about skiing in Switzerland. James Riddell wrote “The Ski Runs of Switzerland” in 1957, which makes for an interesting read given the enormous changes that have occurred since in the development of skiing. Amongst the books that reflect on the evolution of recreational skiing “Rush to the Alps: The Evolution of Skiing in Switzerland” by Paul P Bernard, written in 1978, makes an interesting read. 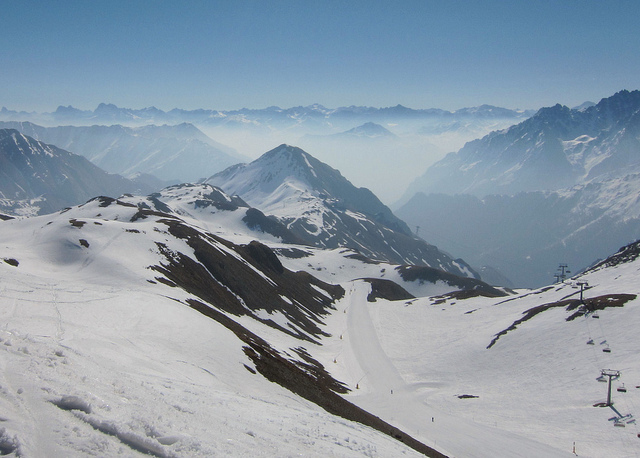 Recreational skiing has probably peaked in Switzerland, the country where it first evolved. Sir Arthur Conan Doyle initially ignited the interest in skiing while he nursed his wife in Davos (which also featured the first ski lift); St Moritz established the concept of winter holidays; Adelboden became the first resort featuring winter sports package holidays; and ski racing started in the Jungfau resorts when British ski enthusiasts convinced the local train operators to run their mountain railways through the winter. Through this period Switzerland developed from being one of the poorer nations to being one of the most sophisticated – and expensive. Increasingly, budget-conscious skiers are turning away from Switzerland as a ski destination. Total skier-days in Switzerland have declined from a peak of 29 million in 2008-09 to about 21 million in the winter of 2016-17. When I first thought of writing a book on skiing in Switzerland, a Swiss publisher advised me that there was not a market for such a publication. “Everyone goes online these days”, I was told. And it is true, but I still think people like the book format. One of the best guides to skiing in Switzerland (and elsewhere) written in English was the long-running “Where to Ski and Snowboard”, but that guide ceased publication a couple of years ago. The publishers decided to pursue country-specific guides, focusing the more popular ski destinations like Austria, Italy and France. I felt that opened up an opportunity for a publication dedicated to skiing in Switzerland, and self-published “Ski and Snowboard Switzerland” as a result. 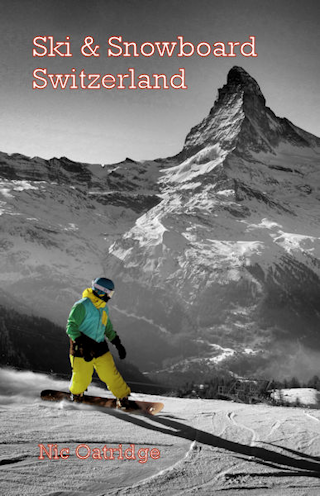 The book originated in content I have been publishing online for many years at http://www.swisswintersports.co.uk. Living in Switzerland and visiting resorts around the country, I found relatively little information available about how to get to resorts and what to expect. Simple questions like “which is the best bus stop or train station to get to the slopes?” led to me making notes on the ski resorts I visited, which led to this blog being set up and, with over 50 resorts visited, to the web site. I have now visited over 100 resorts in Switzerland, and get to revisit around a dozen or so every year. I plan to update the book every year or two. It is available at Amazon here. My private paradise is in a little corner of Switzerland known as Chablais. It straddles the Swiss cantons of Vaud and Valais, and a part of France, at the point where the Alps meet Lake Geneva, a few miles from Montreux. At the heart of this area is the sleepy town of Aigle, surrounded by vineyards that make some of the best wines in all of Switzerland. Aigle is also the home of the International Cycling Union (Union Cycliste Internationale), is a major stop on the trains that run from Geneva Airport to Brig and has a prominent castle, but for skiers and snowboarders Aigle is noteworthy because it lies at the nexus of a number of railways and roads that take you to some of the best winter sports resorts in the Alps and is the gateway to the Vaud Alps. From Aigle direct trains run to the resorts of Leysin, Les Diablerets and Les Portes du Soleil. Villars and Torgon are only half an hour away by bus. With only one change of train, it is also an easy day trip to Verbier in the Four Valleys, Les Marécottes and several resorts in Gstaad Mountain Rides (including Rougemont and Château-d’Oex). From Les Diablerets a courtesy bus runs to Glacier 3000 (Glacier des Diablerets). Les Diablerets was in the papers for all the wrong reasons this week, with news of a 21yo English skier dying when he hit a tree on the edge of the Vers-l’Eglise piste, a relatively straight-forward red run. I would count Les Diablerets and the connected resort of Villars as being amongst the safest resorts in the Alps, and I can only imagine that this was a freakish accident. It’s always tragic to hear of a skiing fatality, and this was a slope I was skiing on only last week when conditions seemed near perfect. Vilars was also in the news this week, when the Swiss skier, Fanny Smith, gained a bronze medal in Skicross. Fanny has won nearly everything there is to win in skicross, but an Olympic medal has eluded her until now. 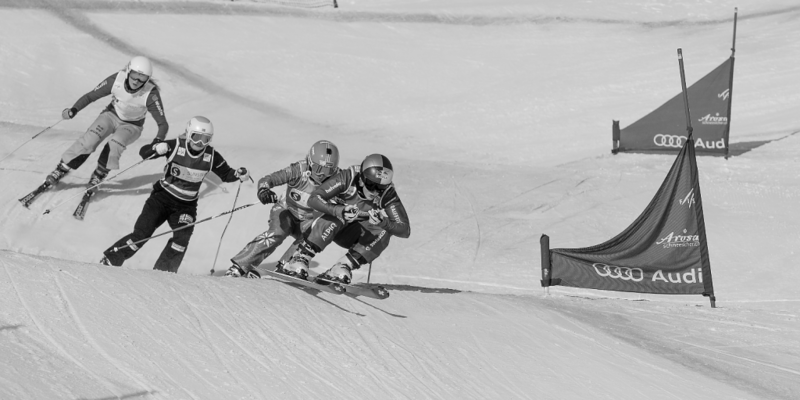 Despite her English-sounding name – she was born to an American father and English mother – Fanny skis for Switzerland, was born in Aigle and brought up in Villars where she no doubt honed her skicross skills. I’m going to tell you how to take a ski break for a day. You can literally check out the snow reports one day, be skiing or snowboarding the next, and be back in the office the following day. In other words, you can take one day off work and ski the Swiss Alps for a full day in the mountains. How’s that for a day out the office! Why Switzerland? Well it has fabulous resorts within easy reach of Geneva Airport; you can use public transport to get to the slopes; and accommodation at short notice is widely available if you stay in the valleys rather than the mountains. And it is no more expensive than France for a quick break and much more convenient than Italy or Austria. Although Innsbruck in Austria is quite convenient for a number of resorts, there are fewer flights. I’m not going to push Easyjet, but it is a good choice for getting to Geneva from the UK, with several flights a year from Gatwick and regional airports. BA is also a good choice if you have lots of Avios points. And if you want to take your skis with you, Swiss will carry them for free. Typically Easyjet flights start from about £26, but get pricey at weekends. 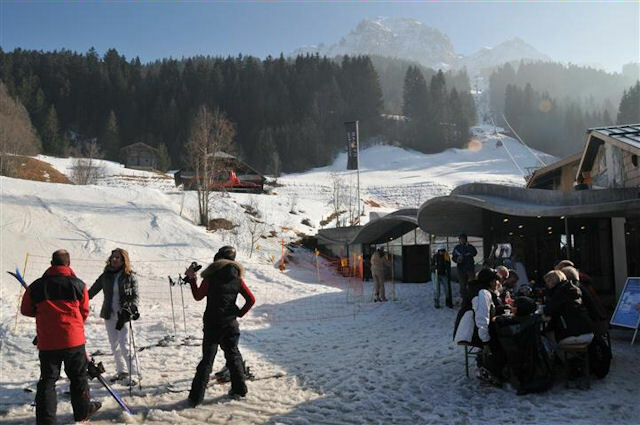 At a day’s notice it can cost less than £100 pounds return for an evening flight out, and either an evening flight back the next day or an early morning flight the following day – both of which will get you back in the office the next day with a full day’s skiing. Geneva Airport has a station in the airport itself with direct trains running to hub towns from where you can get to the slopes, either by a single train journey or a very reliable bus service. You can stay in a resort, but with a late flight and an hour time difference it is a push if you leave the office to take an evening flight. I would recommend you stay in one of those “hub” towns, somewhere like Lausanne, Vevey, Montreux, Aigle, Martigny, Sion, Sierre or Visp. It all depends on how much travel time you are prepared to put in to and from respectively the airport and your preferred ski resort. Some towns on the main line service to Brig from Geneva Airport are particularly convenient for specific resorts, e.g. Aigle for Portes du Soleil (Champéry), Villars, Les Diablerets and Leysin; Martigny for Verbier and Les Marécottes; Sion for the central section of the 4 Valleys (Nendaz, Veysonnaz or Siviez) and Anzère; Sierre for Crans-Montana; and Visp for Saas-Fee or Zermatt. I could mention other resorts, but on the whole they require longer transfers or are much smaller. Most towns have convenient and reasonably priced accommodation near the main railway station that can be booked at short notice, typically via Bookings.com. You are spoilt for choice about which resort to go to. 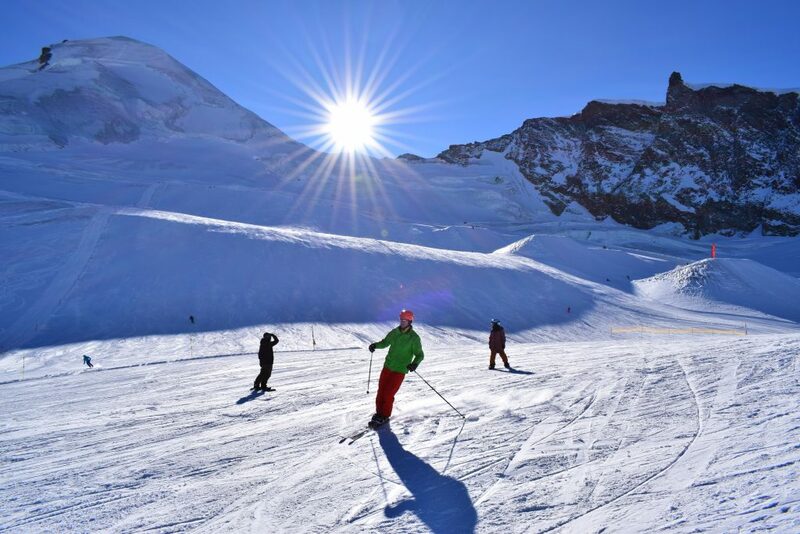 Saas-Fee and Zermatt are open for longer seasons than the rest, and mid-week skiing is usually only available at the others from the start of December. During peak season Leysin, Villars, Les Diablerets and the Portes du Soleil are the nearest significant resorts to Geneva. Flying out of Gatwick on a Wednesday at 6.20pm, arriving at Geneva at 8.55pm, book into the Lausanne Youth Hostel or Hotel AlaGare both walking district from Lausanne station. Get up early and get a full day skiing in Verbier, leaving your stuff in a locker at the base station for Verbier. Return to Lausanne in the evening and take the 7.00am Easy jet flight getting you into Gatwick at 7.35am. Another example: Take the same evening flight and book into a hotel in Aigle. Ski Leysin the next day, then take the 9.35pm flight back getting you into Gatwick at 10.05pm. The costs depend on a number of factors. Costing out the first option, you might spend £100 on flights, plus transit costs to a UK airport. You can bring your skis on Easyjet for £39 or hire in resort for about the same if you book in advance. With Avios points I’ve done a return BA flight for £60. The return train fare on Swiss Railways from Geneva Airport to Lausanne is about £40 and the cost of a combined ski and travel pass (the Snow’n’rail scheme) for Verbier will be about £100. 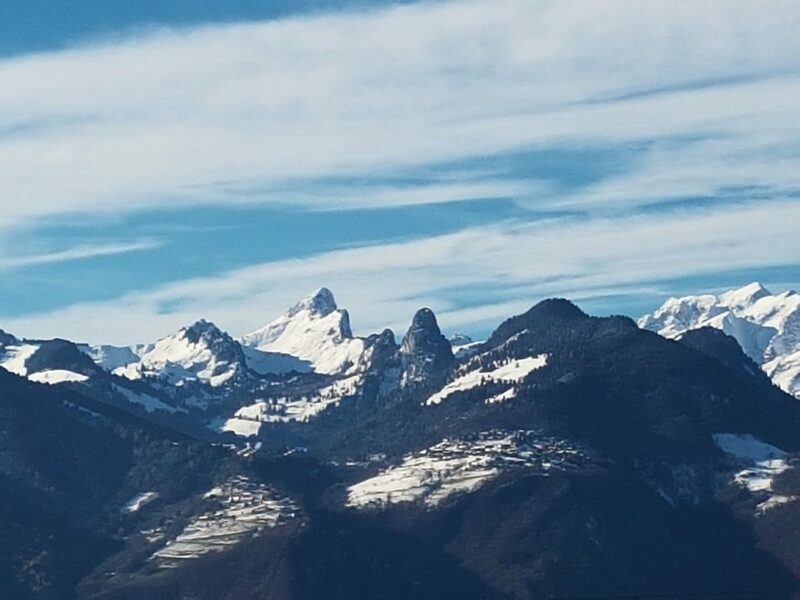 Lausanne is about 50 minutes from Geneva Airport and just over 2 hours from the gondola station serving Verbier. Accommodation near the station will cost you about £80 for a night. Food and drink are best bought from supermarkets and it is totally acceptable to drink alcohol on the trains. 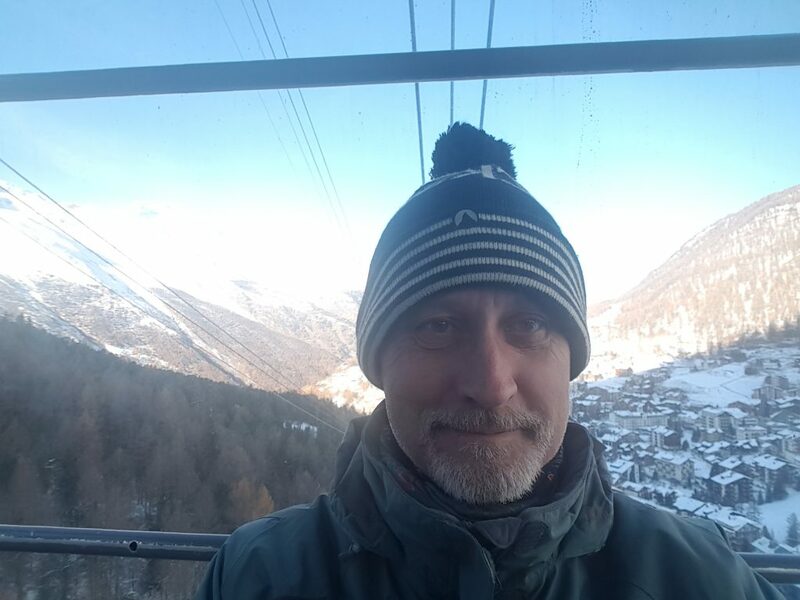 On my trip to Saas-Fee last week I took advantage of an all-season ski pass I bought for under £200. I also have a half-fare card which halves the cost of rail transfer in Switzerland and I have Easyjet+ which gives some perks flying Easyjet. I am over 60 so travel in the UK is free or heavily discounted. And I have a pad in Switzerland about 1 hour 30 minutes from Geneva Airport and half an hour from the nearest ski resort. I also have a pass for 25 other leading Swiss resorts that cost me around £200 for the whole season. The benefit of also having the Saas-Fee pass is it gives me good skiing early and late in the season.